Founder, creator & organizer of START fundraising drive for warm winter supplies! START is honored to recognize Eileen Stevens as our Community Volunteer of the Year award recipient. Founder, creator and organizer of SOCKtober & GLOVEmber, Eileen provided START with hundreds of warm winter supplies including but not limited to socks, gloves, hats, mittens, scarfs, coats, blankets & more. These items were donated and distributed to over 98 different children in 45 different households throughout Stoughton by START. Not only is Eileen a fierce advocate for those in need throughout our community she is also supporting Stoughton as a small business owner, community member and inspirational advocate and leader. 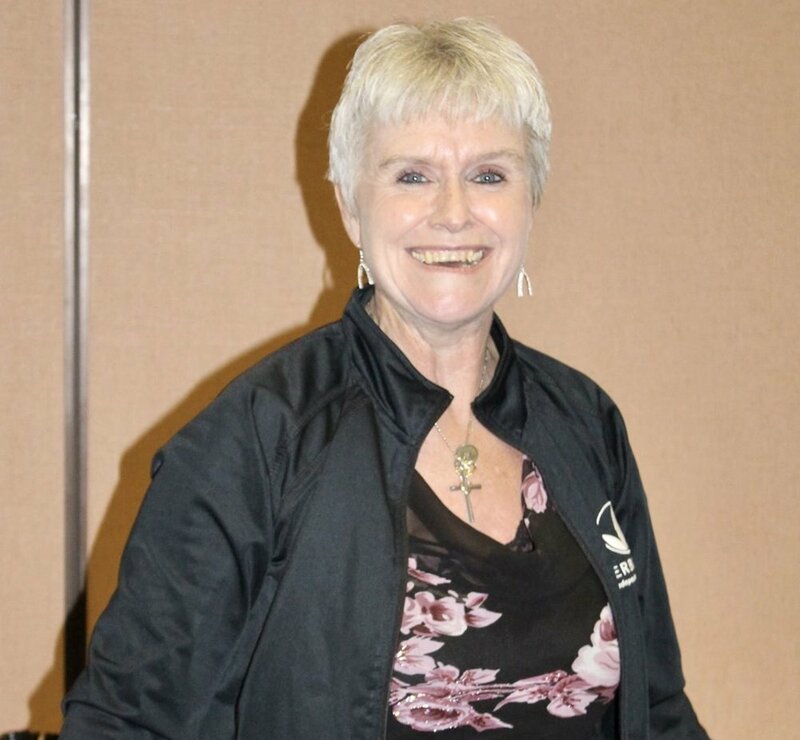 She serves on several local boards, groups and initiatives while providing her inspiration, motivation and dedication to bettering our community. Eileen is an active member of the Stoughton Chamber of Commerce. She is also a member of Stoughton Rotary Club while serving on their Board of Directors. She is the founder of the Stoughton Children’s Business Fair which was created in 2017. In 2018 she became a certified Peacemaker for the Dane County Community Restorative Court. In addition to this she also serves as a Board Member & Director of Logistics for Badger Honor Flight. She graduated in 1979 from River Valley High School in Spring Green, worked as a WI Civil Service and UW Madison employee until she retired at the age of 55 in 2017. She has been the owner & operator of Stoughton’s local business Fired Up Nutrition since 2013. While their motto states “It is not about being skinny, it is about being healthy” she has coached individuals to help them reach their goals. Eileen is a proud Stoughton resident. Her life partner & other half, Dave is a 30 year retired Navy Chief and is a 30+ year certified ASE mechanic. She is a proud mother of her daughter Katie and son Justin. She is also happy to be enjoying her time as a grandmother to 4.5 year old twins Isabel and Jordan. She has also worked with the Central Wisconsin Center for the Developmentally Disabled, providing her time to The Board on Hunger and The Emergency Food Assistance Program, WI Welfare Reform, Wisconsin Conservation Corp and she worked as the Program Coordinator for UW-Madison’s Molecular and Environmental Toxicology Program. Fun facts to know about Eileen…she trained with 9th degree red belt, Reylson Gracie in Brazilian jiu jitsu in his facility in Florida. She trained with AND received her 1st and only Muay Thai arm band from Samart Payakaroon who is still known as the best Muay Thai (moy-tie) fighter in the world. She has trained with Grandmaster, Ron Van Browning and she met Chuck Norris when she performed in a Martial Arts event. She enjoys helping others when she can and spends her time highly involved and invested in the Stoughton community. START is honored to recognize Eileen at our 2019 Annual Fundraising and Celebration Event.